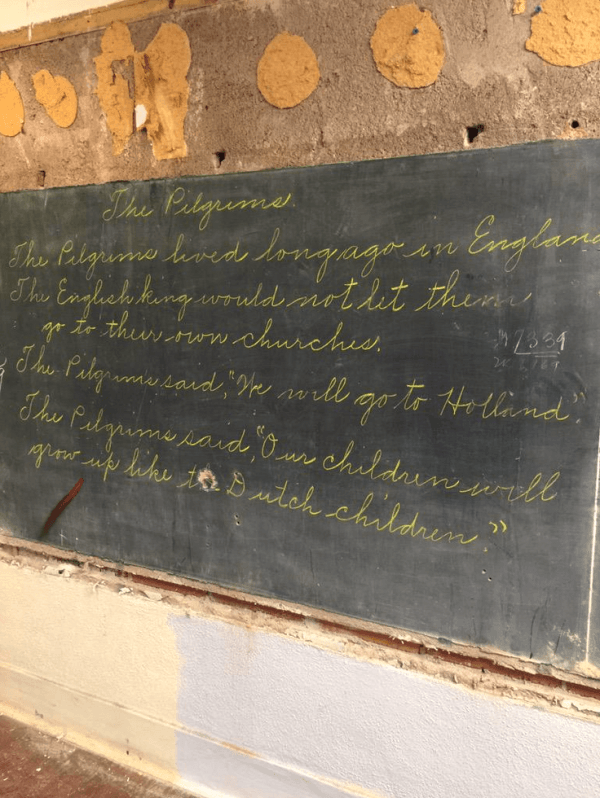 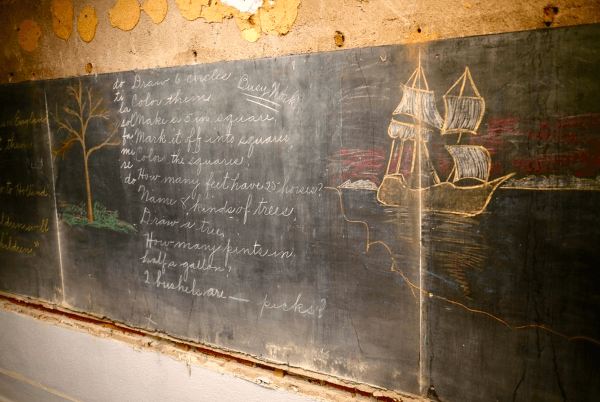 When the classrooms at Emerson High School in Oklahoma City were getting a routine face lift, the renovators accidentally uncovered an incredible glimpse into the history of American education. 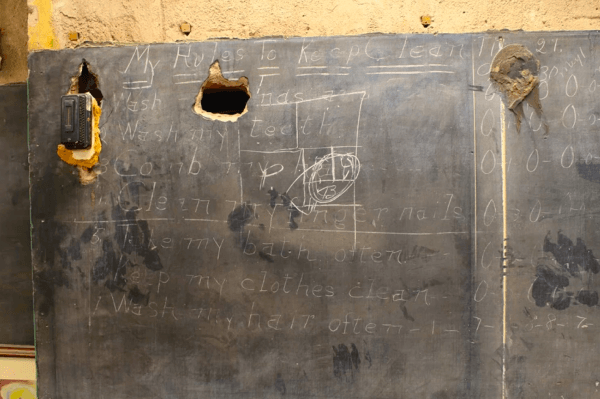 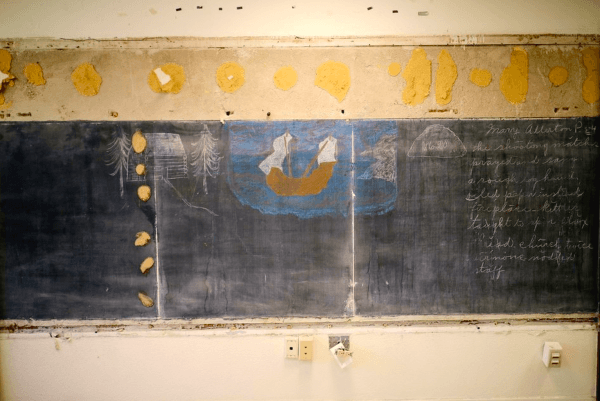 While construction workers were removing chalkboards to replace them with new Smart Boards, they stumbled upon some older chalkboards underneath. 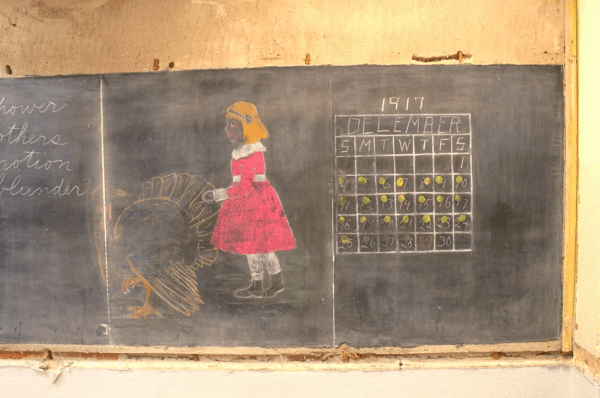 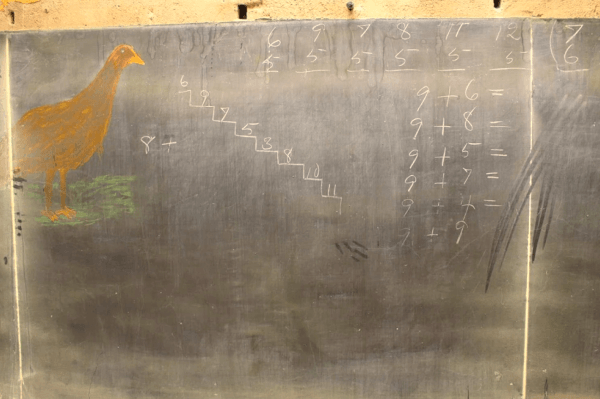 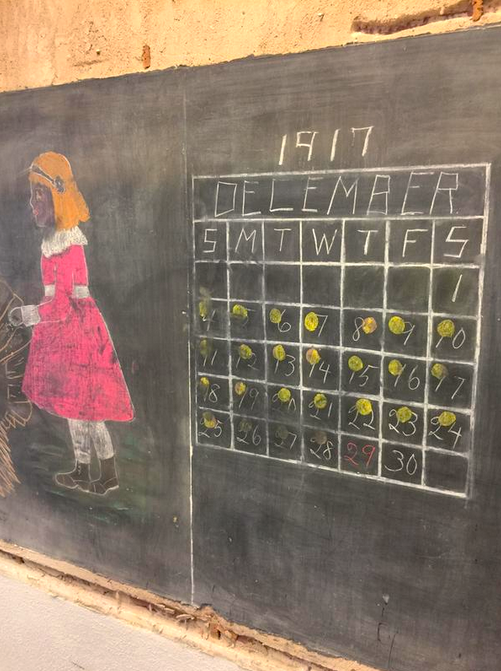 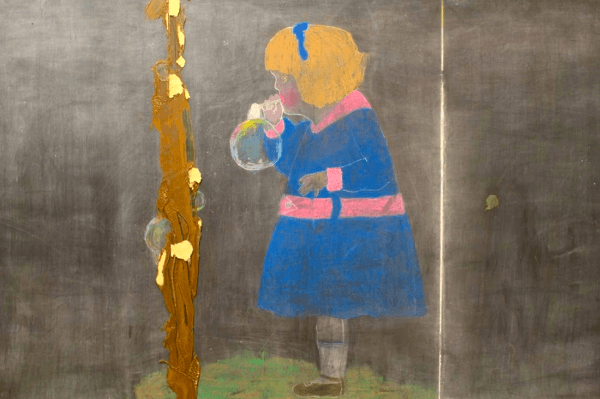 When they stopped to examine the chalkboards, they realized that the boards were from 1917… nearly 100 years ago! 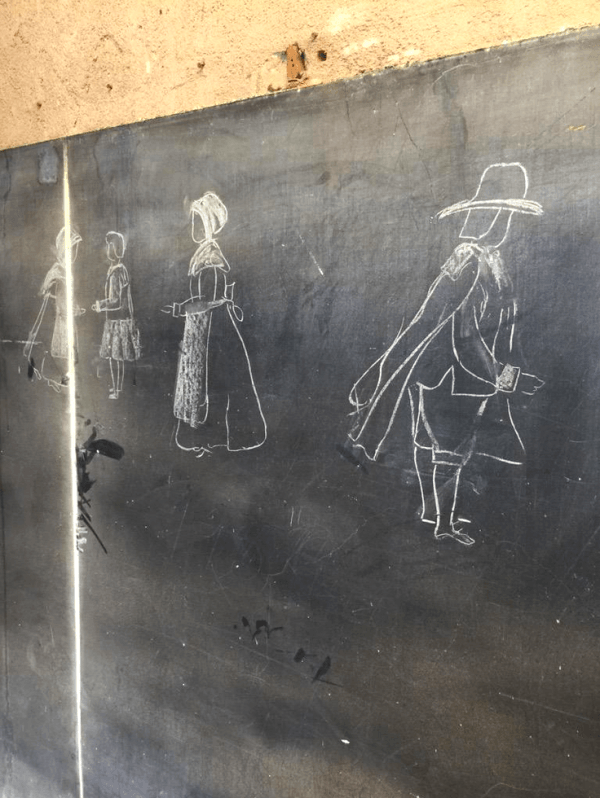 Underneath layers of other boards, these antique chalkboards had been preserved with the chalk still on them. 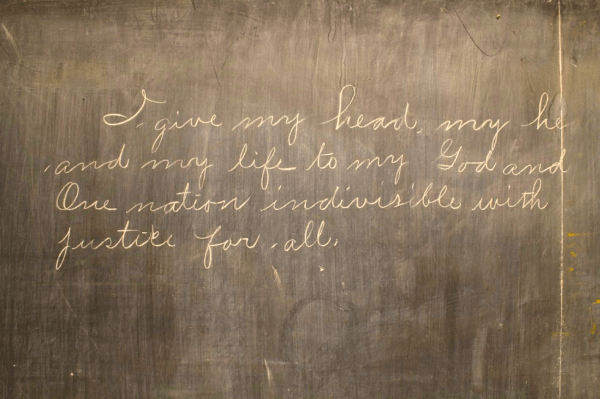 Another lesson that looks difference is the Pledge of Allegiance. 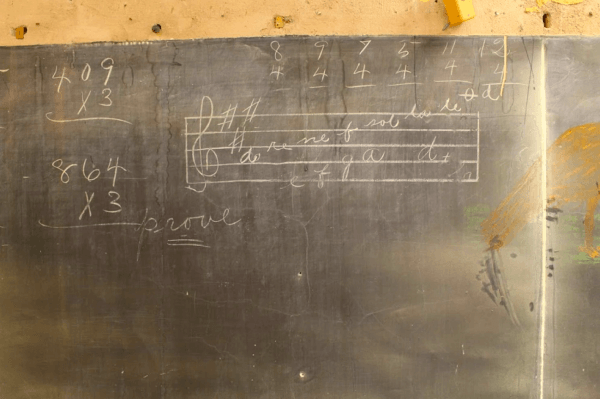 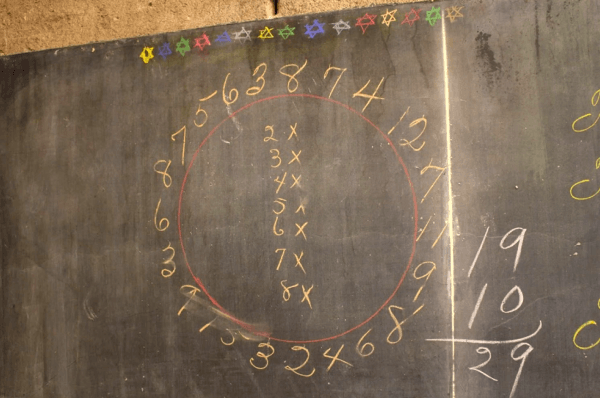 Kishore’s mother would have started school in the mid to late 1930’s, over a decade after the boards were drawn, but the rediscovered chalkboards are no doubt more familiar to her than the high-tech chalkboards used today!